Item # 307897 Stash Points: 5,495 (?) This is the number of points you get in The Zumiez Stash for purchasing this item. Stash points are redeemable for exclusive rewards only available to Zumiez Stash members. To redeem your points check out the rewards catalog on thestash.zumiez.com. 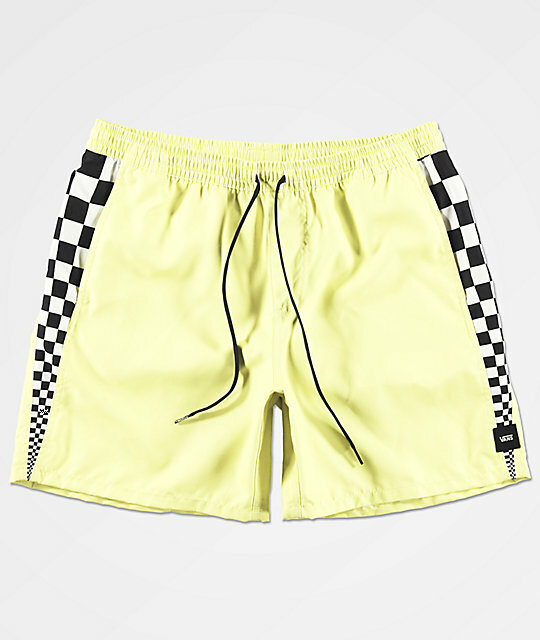 Hit the beach in loud style with the Vans V Panel Volley Lime Board Shorts. 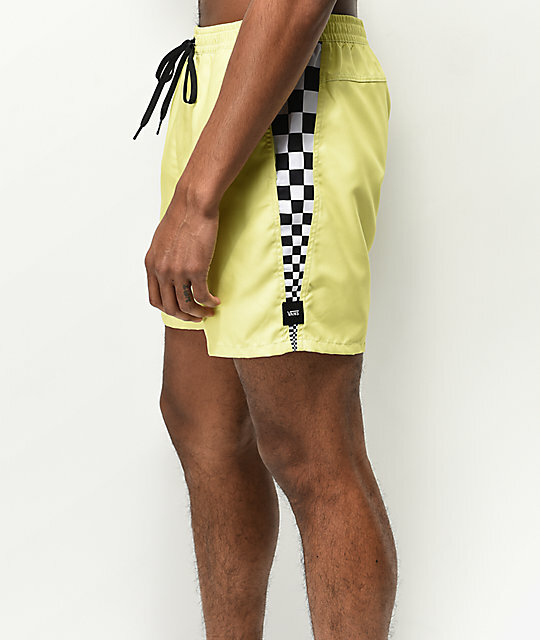 These bright green shorts feature checkerboard stripes lining the outer of each leg in black and white for a prominent splash of pattern and additional style. 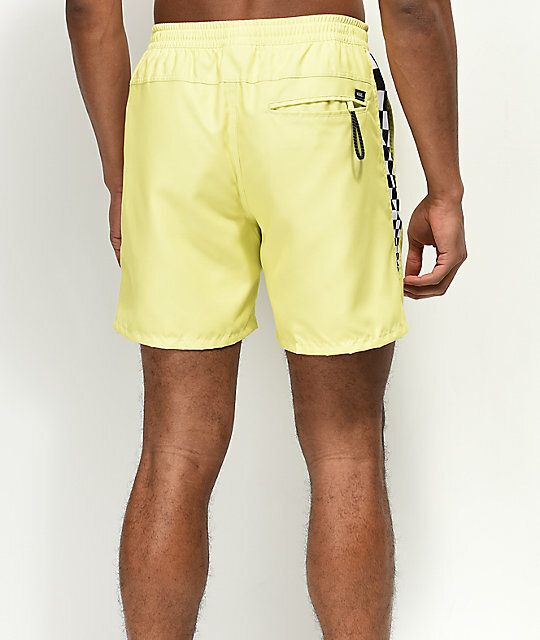 Two front hand pockets and one back right pocket provide plenty of storage for all your beach going needs and the short inseams create an extremely fashion-forward silhouette. 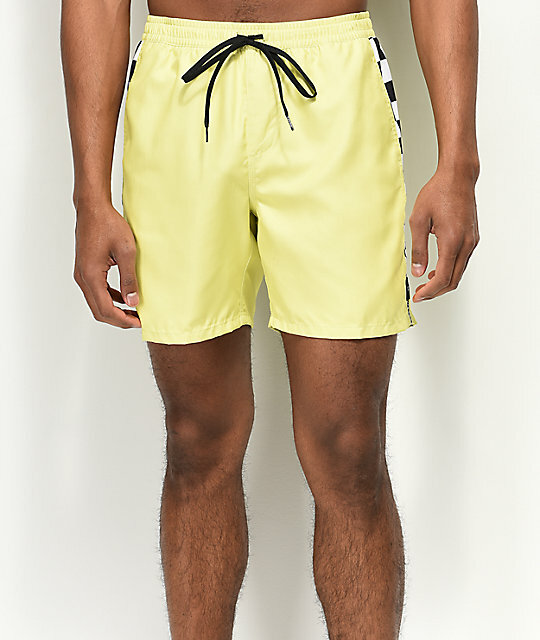 V Panel Volley Lime Board Shorts from Vans. 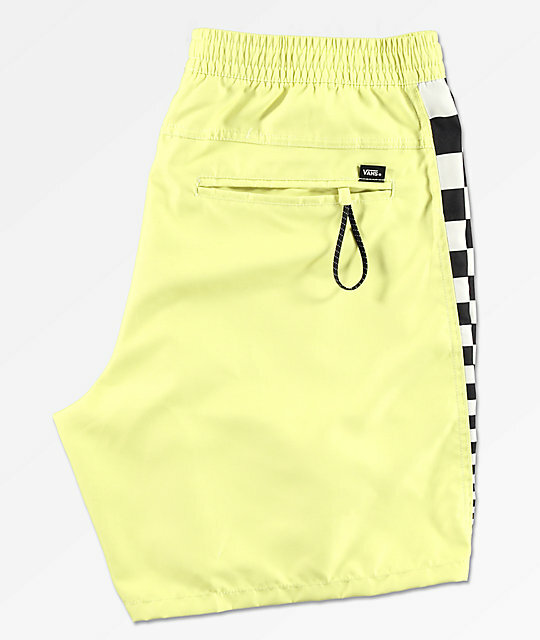 Bright green with black and white checkerboard stripes at the outer of each leg. Two front hand slash pockets and one back right pocket.